Books have always been my go-to place for solace, comfort and advice and so when Rumi was born, it was only natural that we turned to books for every single thing, from tips on how to make babies sleep better to raising emotionally resilient kids. And while a lot of those tomes are gathering dust, there are some gems I discovered that were so well-crafted that I go back to them time and again, only to find a new insight to sink my teeth into. Here is a list of my favorite books on parenting. What they have in common apart from being super-interesting is that they all look at parenting from a multicultural lens. I love to read up on new cultures and learn and assimilate from them and the more I excavate, the more I realize that all roads lead to Rome after all, and as long as the basic health and hygiene factors are in place, there really is no ‘wrong’ way to raise a child. 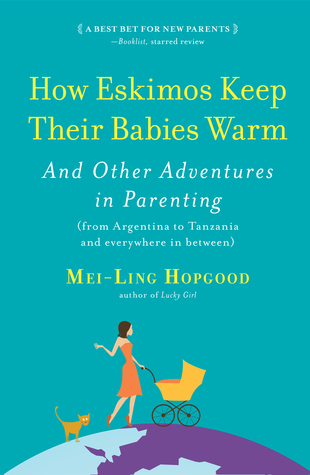 Mei-Ling Hopgood moved to Buenos Aires as a first-time mum to toddler Sofia and was shocked to find that Argentine parents allow their children to stay up late in the night. No bedtime routine followed by lights out at 7 p.m.! 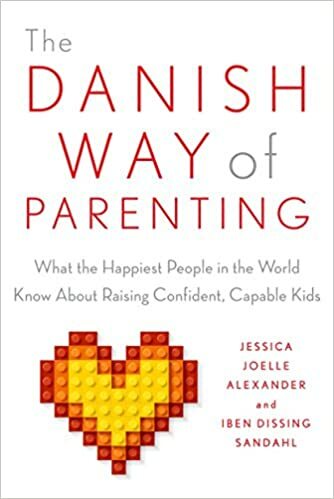 Following this revelation, she started exploring how other cultures deal with the challenges all parents face such as potty training, fussy eating, approach to chores and academics and so on. This is a delightful book , light and easy to read but thought-provoking and insightful. The chapters are divided into different cultures, for e.g. ‘How Polynesians play without parents’ to ‘How the Japanese let their children fight’. It includes interviews with parents as well as academic experts who weigh in with their verdict. The parts where the author then applies all this to her daughter are fun to read and well-written. This is one book I keep going back to for the sheer pleasure of mentally hopping around the world looking at how different people live. I was intrigued when I read about Brené Brown’s research on shame and vulnerability. She makes an important distinction between shame and guilt, and of separating bad behavior from bad person. Just this shift in language makes a world of a difference! She differentiates between saying “Bad girl!” or “Bad boy” to your child when they make a mistake and saying “What you did was bad but YOU are not bad.” This simple change of words really opened my eyes and I reflected back upon all the times I was made to feel ashamed or unworthy as a child. She encourages us to embrace our own imperfections so that we can teach our children to have the courage to be authentic and have the compassion to love themselves and others. It talks about how we can make our home a safe place to feel included and vulnerable. I cannot recommend this book enough; it is filled with amazing insights on authentic living, without ever getting preachy or judgemental. 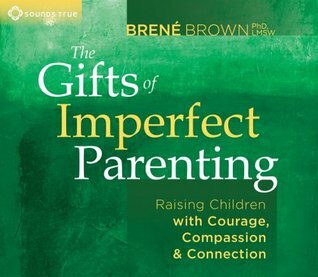 It is a pleasure to listen to Brené Brown talk and this is a book that is easy to listen to on your daily commute or while completing your chores. “Of course they do!” said a colleague of mine when she heard what I was reading. This book has mixed reviews with a lot of Francophones claiming that the book does not paint an accurate picture of French kids. 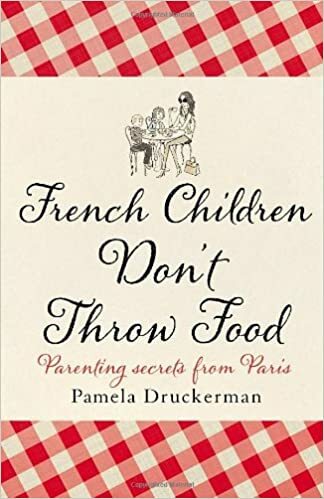 I was tempted to buy this one because of the cover, and it is a witty and warm book describing the author’s experiences raising her children in Paris. She talks about the food habits; French toddlers seem to have a varied and sophisticated diet from very early on and it is not uncommon for them to enjoy multiple courses at one meal. Incidentally, Mei-Ling Hopgood has also talked about the French teaching their kids to love healthy food in her book. The author also talks about French mums being calmer, making themselves and their health a priority soon after giving birth and not getting consumed by their baby. Sleep habits and boundaries are established early on. French parents, she says, tend to set rigorous rules around a few key areas including food, meal times and sleep. Kids are taught to wait. Beyond this, parents are not expected to constantly focus on their kids. ‘Helicopter’ parenting is frowned upon. These two books are quite similar. Both talk about the importance of outdoor, unstructured play, shared load between both partners and an emphasis on togetherness and family time. Both cultures shy away from academic achievements and competitiveness, focusing instead on raising well-rounded, emotionally resilient children. Children start school at the age of six and finish by 2 o’ clock, with the afternoon dedicated to free play. If you’ve read anything that has helped you become a better parent, I would love to hear about it and add it to this list! Next Post What is bad behavior in a toddler?